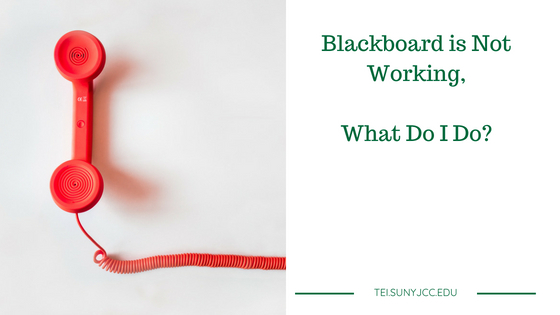 Blackboard is Not Working, What Do I Do? There are just days when things are not working according to plan. Blackboard is a complex piece of software with a lot of moving parts. If just one variable is not correct, it can appear that it is not working properly. Sometimes, you just need help.